Richard Brendan celebrates 17 years hosting his radio show, The Richard Brendan Show: Bringing Love to Life (airing Sunday on 88.7 fm, WICR in Central Indiana). The first interview, with John Robbins, aired on April 2nd, 2002. Over the 17 years since then Richard has done close to 780 interviews! As someone walking a spiritual path, Richard has always said that his sanctuaries have been nature, and his radio studio. So how does he celebrate 17 years? 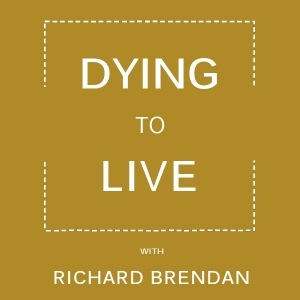 By re-releasing a Richard Brendan Show interview here on his Dying to Live podcast. Going through the archives Richard found an interview from 2014 with the great Marc Bekoff, in which they discuss Marc’s book, Rewilding Our Hearts. What Marc shared then, concerning the environment and climate change, is perhaps even more timely in 2019. Inspirational and informative!